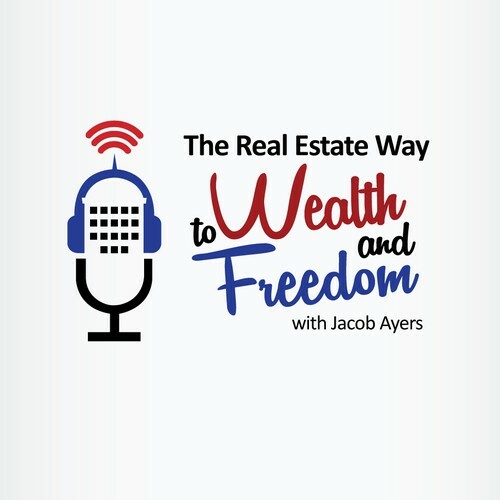 Hi and welcome to the Real Estate Way to Wealth and Freedom Podcast. You’re listening to the Friday Fundamentals with Jacob Ayers. This is a short episode that will air every week, in addition to our weekly guest interviews. Here we’ll talk about a quick real estate investing topic and provide resources and actionable content for you to implement every week. Thank you all for the great reviews and I’m glad you all are getting value out of the show. If you like what you’ve been hearing, please let me know by leaving a review. I would love to give you a shoutout next week. Previously we talked about investing for cash flow with our guest, Dave Zook. Dave is a great guy, and is involved in some interesting deals, from investing in ATM machines to Central American resort developments. Buying large multifamily apartments is often done through syndication. What’s syndication, you might ask? According to Merriam-Webster, a syndicate is a group of persons who combine to carry out a particular transaction or project. You see, you might me more familiar with syndication than you realize. You syndicate air travel, dining, and many other things. Say you want to fly somewhere, but don’t have your own private jet? Well, you buy a ticket from an airline, along with other people, and together you pay the airline to take all of you to the same destination. You want someone to cook for you, but you don’t have a chef? Well, you can pick the restaurant of your liking, and pay for the food and service there, along with other guests. You see, buying apartment buildings is similar. You want to buy an apartment building, but can’t come up with the down payment? Well, raise money from other people and buy the apartment building together. Whala! You’re now a syndicator! So let’s dive deeper into how syndicating works. It often starts with a lead, or managing partner. This is the person who searches for the deal, puts the property under contract, leads the due diligence, finds investors, raises money, and then manages the deal once it’s acquired. The managing partner raises capital from investors to fund the acquisition of the property. The acquisition cost includes the down payment, closing costs, attorney’s fees, SEC filings, any rehab costs, etc. The property is then owned by the partnership of the managing partners, and the general partners, who are the investors. This model allows for people to pool their resources – capital, experience, strengths, etc. to buy a property they might not otherwise have been able to individually. The partners will typically have some equity in the property in exchange for their initial investment. They share the risk and the rewards of the deal. When the property is profitable through positive cash flow, the investors receive a return. However, as equity partners, the investors also share any downside the property may experience, although the managing partner will try to keep those events from ever happening. The managing partner can also raise money from debt partners. Debt partners only receive a return on the money they have loaned, similar to a bank. They are paid regardless of how the property is performing, and have no equity stake in the deal. Syndicating is a common model for apartment investors. It allows everyone involved to spread risk, and leverage other people’s resources. I realized early on in my investing career that you’ll eventually run out of your own money to invest. I personally have goals to build a large multifamily portfolio, and I know that it will only be possible through raising capital from other investors. We’ve had some experienced syndicators on the show already, from Rod Khleif to Joe Fairless. These guests have had tremendous success with syndicating deals. We talked with Dave Zook last week about the process of syndicating deals. We’ll continue to discuss raising money, putting together deals, and how you can get started in upcoming episodes, so stay tuned in for those!